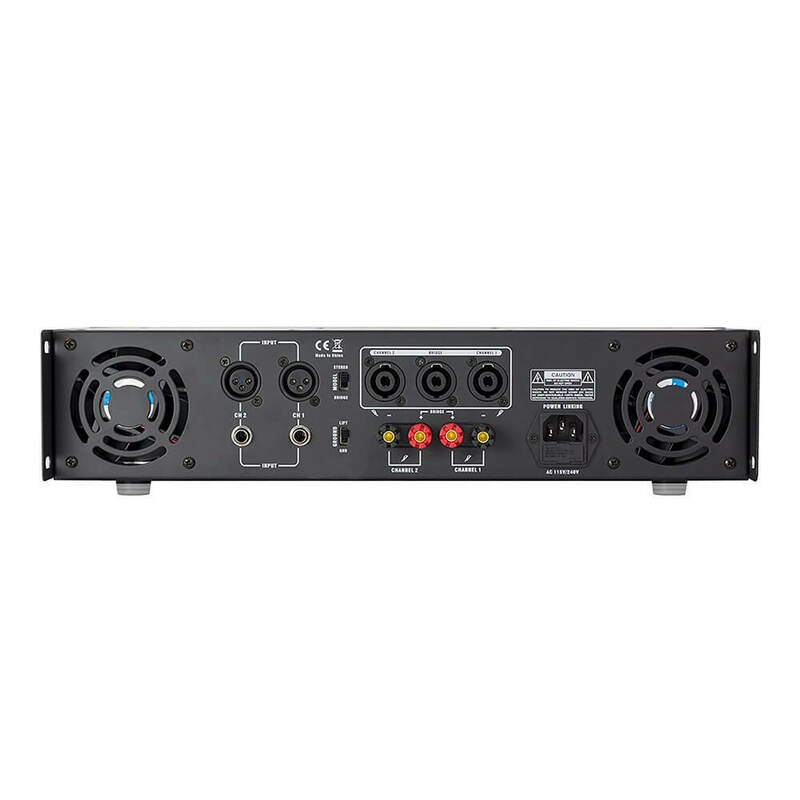 The XGA-3000 amplifier offers clean, reliable power in a durable, lightweight enclosure. If you demand professional amplification performance, the XGA-3000 is perfect for delivering pure, consistent wattage night after night. With 3000 watts of Instant Peak Power (400 watts RMS), the XGA-3000 is ideal for powering PA systems and DJ rigs. 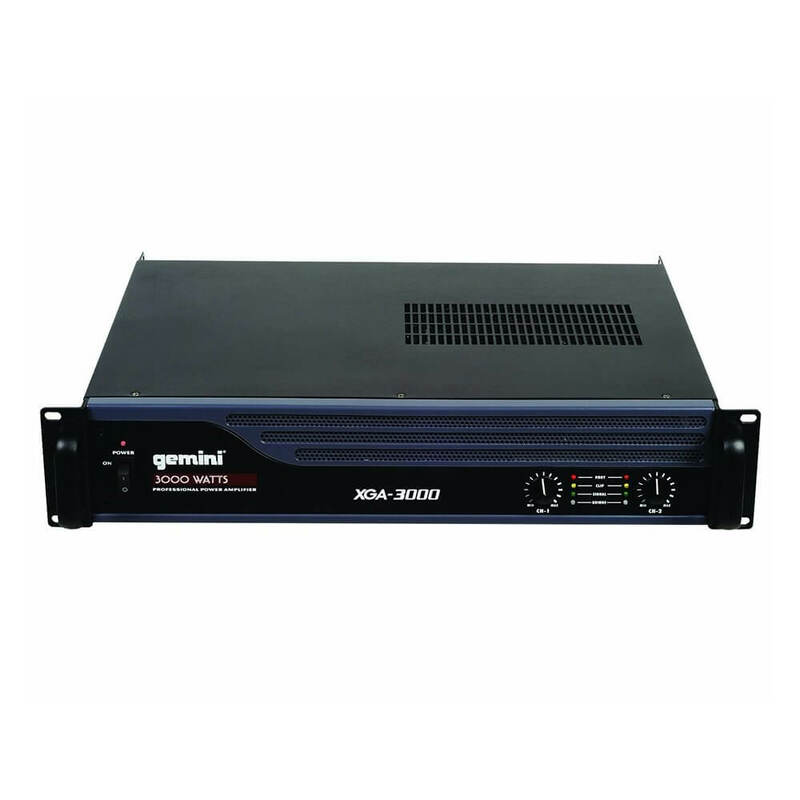 The XGA-3000 amplifier offers clean, reliable power in a durable, lightweight enclosure. If you demand professional amplification performance, the XGA-3000 is perfect for delivering pure, consistent wattage night after night. 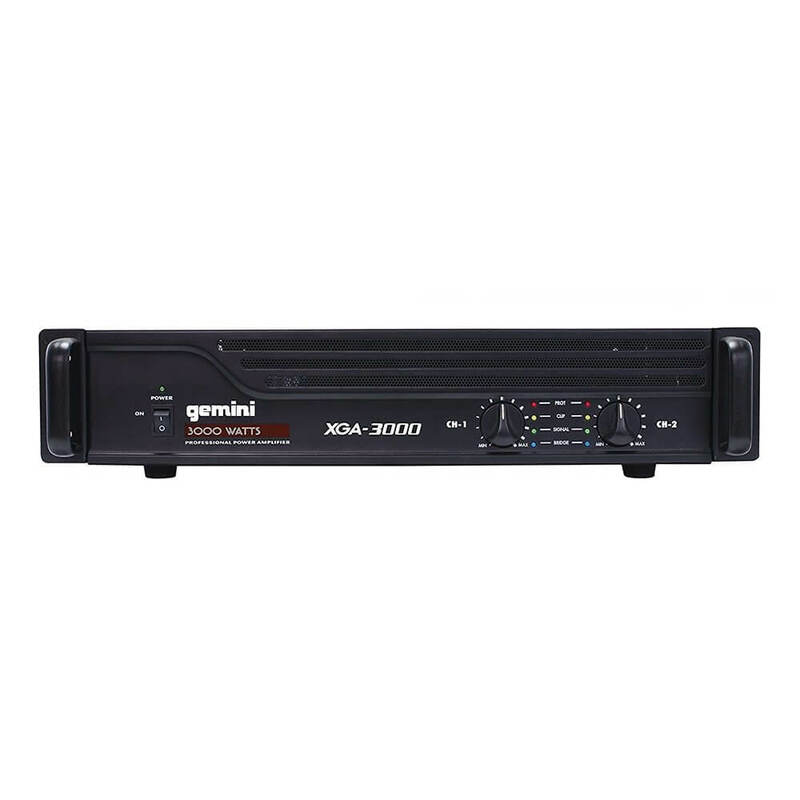 With 3000 watts of Instant Peak Power (400 watts RMS), the XGA-3000 is ideal for powering PA systems and DJ rigs. To ensure seamless, reliable performance, the amp features front-to-rear airflow and a variable-speed cooling fan for thermal stability, along with a limiter circuit switch, DC output protection and short circuit protection. For true connecting convenience, the XGA-3000 boasts XLR and ¼-inch balanced inputs and three Speakon outputs. The unit also provides front panel indicators for Signal, Clip, Protect and Bridge, plus level controls for channels 1 and 2. Selectable modes for Stereo and Mono Bridge give you even more flexibility, while its sleek, lightweight design ensures total portability. With clean, dependable power in a resilient, 19-pound enclosure, the XGA-3000 offers unmatched value for anyone who is serious about sound. Good amplifier - but very noisy fans only suit it to noisy environments. Also holes do not match standard 19inch rackmount. Thanks for letting us know about this issue. We have checked a couple of these from our warehouse and found them to be the standard 19 inches wide. There may be an issue with your item, if so please let us know so we can help. Thank you for your very helpful feedback.